Sun Woo (Lee Byung Hun) is the manager of a hotel restaurant, who is also a trusted and valued right hand man and enforcer to Mr. Kang (Kim Young Chul), a powerful gang leader. Sun Woo is an unusual character because he’s very meticulous and emotionless with everything he does. This is seen when he has to be physical and carry out his enforcer duties for his boss. Before Mr. Kang leaves on a business trip, he asks Sun Woo to look after his mistress, Hee Soo (Shin Mina), for three days to find out if she is cheating on him. If Sun Woo catches Hee Soo cheating, Mr. Kang gave him direct orders to kill her and her boyfriend on the spot. While following Hee Soo around, observing her daily life, Sun Woo develops an appreciation for her and the life she lives, realizing how empty and lonely his life really is. As a result, his icy cold exterior starts to thaw. When Sun Woo discovers Hee Soo is having an affair, he even surprises himself when he does not have the constitution to kill them, and lets them go on the promise they will never see each other again. However, Sun Woo’s decision unknowingly puts his own life in jeopardy and sets a series of events that results in an irreversible war with a rival gang. On the surface, this gangster revenge thriller has a simple premise that we’ve all seen before. But there are so many elements in this beautiful movie that sets this apart from your typical gangster film. 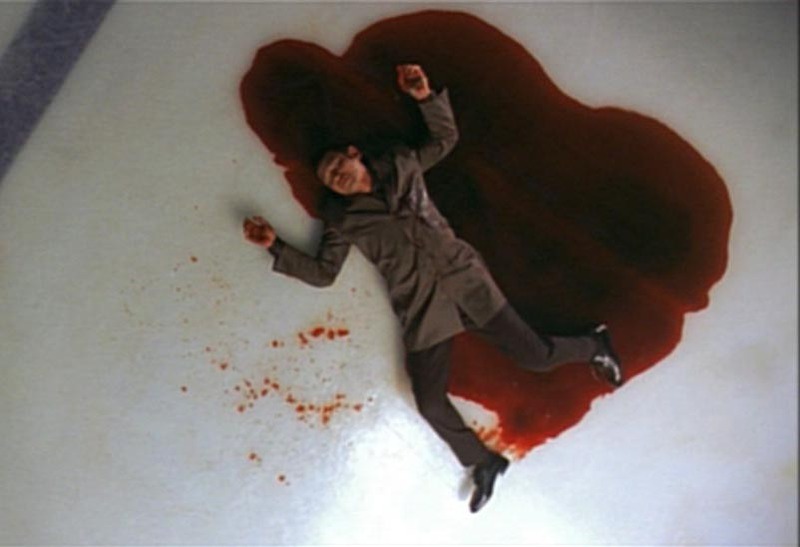 This film is a study on how an individual human life can easily be invalidated in a structured hierarchal environment (the Korean mob culture). Lee Byung Hun’s portrayal of Sun Woo completely carries this picture with style and grace with an incredible cast alongside him. Lee has an engaging screen presence and is pitch perfect in his performance, and is not afraid to be subtle and introspective at key times with his performance, which is exactly what draws you into his world. His performance is multi-layered, which makes it a compelling joy to watch. Lee’s performance also combines the ultra cool suaveness of an 80’s Chow Yun Fat along with more a reserved and subtle version of Tomisaburo Wakayama’s Ogami Itto (from the Lone Wolf & Cub series 子連れ狼1972-1974), where he is ready to physically and emotionally explode at any given moment. Lee does not do this all alone. The rest of the cast all deliver solid and impressive performances throughout the film and prove to be an incredible ensemble by unselfishly supporting, taking, and giving back to each other with every scene. The cinematography by Kim Ji-Yong is elegant and stylish and at times breathtaking, without calling attention to his work. Ryu Seong Hie, the production designer, does an exemplary job in creating sleek set pieces (like the hotel restaurant ,named “La Dolce Vita”) to the dark seedy locations throughout the film creating a stark contrast and mood that has a visually delicious film noir feel to it. Also important to this film is the soundtrack by Dalparan and Yuhki Kuramoto. The music is haunting and tragic in tone, which compliments the visual lyricism of the film. The ultra violent fights and gunplay are never gratuitous and an important part of the story and in synch with the actor’s interpretation of their roles (see more about the action in the next section). **Scroll past this section if you do not want to read any spoilers for this film. A good majority of this film takes place at night, indoors, or in seedy places giving it a film noir feel to the movie. I feel the reason is because Sun Woo is dealing with issues deep in his own subconscious, much like one might have a nightmare and try to figure out what it meant to them. This ties in perfectly with the Buddhist parable that Sun Woo ponders at the beginning and end of the movie where you realize the whole movie was a dream. This ending is similar to the final resolution with Tom Cruise’s character in Vanilla Sky (2001). The film has a good healthy mixture of martial arts type fights (which later turn into rough and tumble brawls) and gunfights that can keep an action junkie satisfied. The action is not overly stylized or too melodramatic like what we might normally see coming from Asia and should easily appeal to Western audiences without having to suspend their willing suspension of disbelief too much if any. There are many action set pieces in this movie that will keep action junkies satisfied and were expertly handled by Jung Doo Hong. He works well with lead actor Lee Byun Hung, because they both understand the emotional content of each scene that is required in making the action believable and is not disjointed from the non-action sequences. Every action scene Sun Woo is involved in is an extension of his emotions at that time. 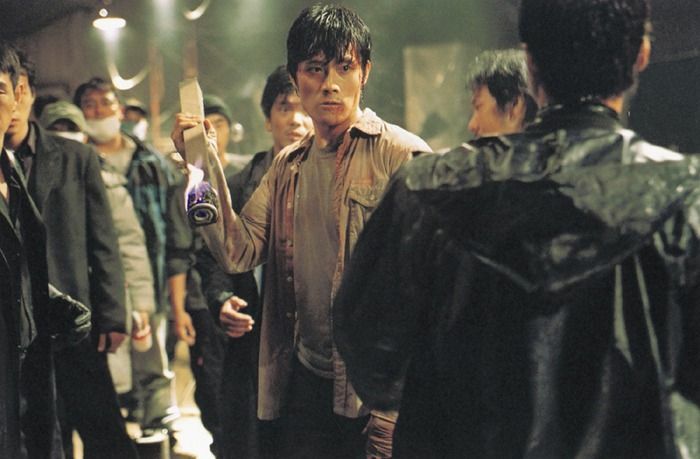 The first fight that starts within the first 5 minutes of the film shows Sun Woo as calm, cool, and completely in charge. As the film progresses, the fights get gradually more rough, messy, and raw as he looses his cool with himself, the situation, and the people around him. I’ve seen this film several times and did not notice if there was a stunt double for Lee, so kudos goes to him for performing his own stunts. I am being nit picky here, but some of the camera moves in the abandoned warehouse sequence that were too tight that you might have a hard time appreciating what is happening on screen. They also took some creative risks by mounting the camera right above Sun Woo’s head as he fights and runs away from the thugs, which sometimes do and don’t work. But seeing this movie on DVD on a 30 inch TV is a different experience than seeing it on 60 feet wide theater screen, which would probably remedy all the problems I just mentioned. Overall the action scenes are very well executed and performed. I really liked this movie when it first came out in 2005 and 7 years later, the film still holds up. I am very surprised this film has not been picked up for U.S. distribution at the time of this writing. Besides an all-Asian cast and the dialogue spoken in Korean, there are no other Asian-centric themes that would dissuade a Western viewer from appreciating this picture. There are so many elements in this film that would attract a huge cross section of cineastes from art house, film noir lovers, foreign film fans, and action junkies. This is a well-crafted film where all departments (in front of and behind the camera) stepped up to create an unforgettable modern day gangster, revenge-thriller, film noir classic. 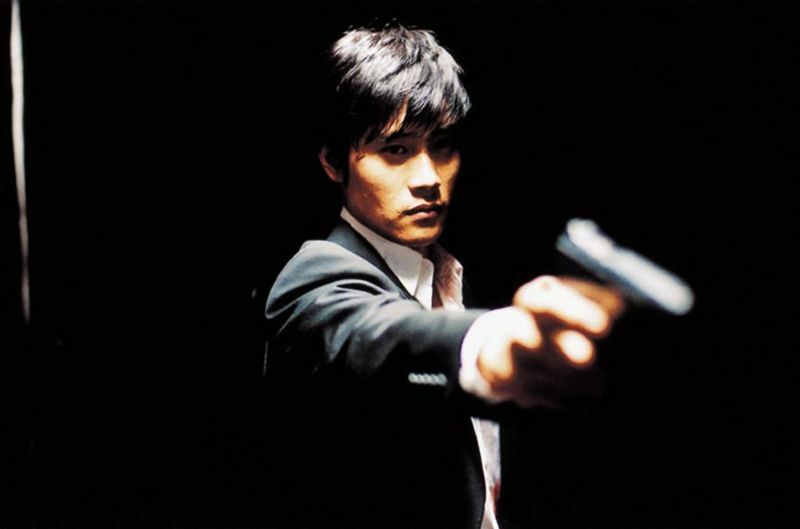 This film easily holds it’s own when compared to the best Chinese Triad (A Better Tomorrow, Infernal Affairs, City On Fire), Japanese Yakuza (Graveyard of Honor, Tokyo Drifter, Battle Without Honor & Humanity), or Western gangster (Scarface, Road To Perdition, Reservoir Dogs, Heat, Goodfellas) films. Since this film not easily available in the US, I strongly urge you to go out of your way to see this one. Yes, it’s that good! Copyright 2012. All text is the property of John Kreng and should not be reproduced in whole, or in part, without permission from the author. All images, unless otherwise noted, are the property of their respective copyright owners. I own this movie and watch every so often. It is one of my favorite Korean movies. I believe that Lee Byung Ehun is also the star of ” The Man from Nowhere” which is alo an awesome movie. These are two can’t miss movies! The character of Sun-Woo is very inspired by the style of the character “Costello” in “Le Samourai” directed by Jean Pierre Melville. Kim Jee-Woon told Lee Byung-Hun to play it like “Alain Delon” and they talk about it a lot during the set! Even the way to film the first apparition of the hero: in few short take, a new icon is born! Korean Cinema Blogathon Links Page | cineAWESOME!